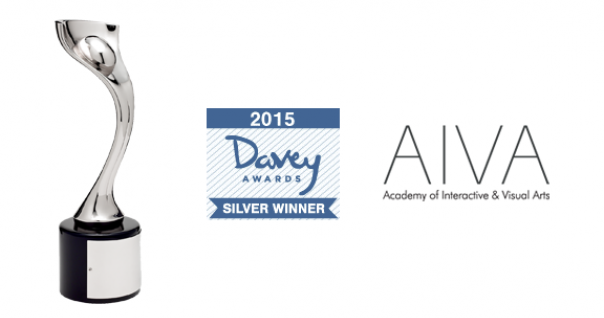 PreCheck, a healthcare exclusive employment and background screening firm, receives a 2015 Silver Davey Award for Content on PreCheck Blog. PreCheck, an employment and background screening firm specializing in the healthcare industry, recently received a 2015 Silver Davey Award by the Academy of Interactive and Visual Arts (AIVA). For the category of Content, The PreCheck Blog was recognized as a winning entry based on its editorial content discussing employment screening best practices for healthcare employers as well as other key issues affecting the healthcare industry. The Davey Awards are judged and overseen by the AIVA, a 700+ member organization of leading professionals from various disciplines of the visual arts dedicated to embracing progress and the evolving nature of traditional and interactive media. The Marketing team also includes Gracie Gonzales, Associate Creative Director, and Antique Nguyen, Marketing Specialist. PreCheck’s blog covers background screening best practices with a healthcare focus as well as the latest healthcare trends and compliance issues. To learn more about PreCheck’s healthcare-focused suite of employment background screening services, visit www.precheck.com. The Davey Awards exclusively honor the “Davids” of creativity, the finest small firms, agencies and companies in the world. David defeated the giant Goliath with a big idea and a little rock - the sort of thing small firms do each year. The annual International Davey Awards honors the achievements of the "Creative Davids" who derive their strength from big ideas, rather than big budgets. The Davey Awards is the leading awards competition specifically for smaller firms, where firms compete with their peers to win the recognition they deserve. Please visit www.daveyawards.com for more information.